This is the world’s best list of UK HR Awards and Training Awards. It includes all the most credible national HR Awards and Recruitment Awards such as The Personnel Today Awards, HR Excellence Awards, The CIPD People Management Awards, The HR Distinction Awards and The Sunday Times Best 100 Companies to Work For. It also features Employee Benefits Awards and The National Diversity Awards. 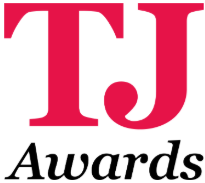 UK Training awards include The TJ Awards and The Learning Awards amongst many others. 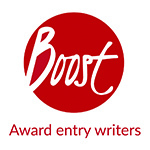 Boost Awards can help write your entry and increase your chances of winning an award. We are the world’s first and largest award entry consultancy, with a unique team of awards experts that can help you plan which awards to enter, collect evidence for your submission and write your entry for you. You may also be interested in reading our relevant Award News articles. With the number of HR & training awards increasing year-on-year, we ask Which are the best HR Awards to enter? and Which Training Awards should you enter? We are also very experienced helping companies enter and achieve workplace rankings and league tables, some of the most prestigious are detailed in our article The Sunday Times Best Companies & Great Place to Work Awards. Contact us today and boost your chances of winning awards. The TJ Awards recognise excellence by learning & development professionals from around the world.